Today’s Security and Access systems are designed to prevent and protect buildings, factories, flats and houses from burglary, trespassing and other criminal activity. There are a wide variety of options to consider so we will work with you to determine the best combination for your building. A fully monitored system is connected to a call centre once the alarm is triggered; while an unmonitored option relies on the distraction of any intruder with a loud noise. Depending on your needs and budget, we will either recommend a hardwired system running cables throughout your premises, transmitting data from sensors and other security devices to a central control panel; or a wireless system which is easier to install with a remote control unit that can be carried with you. A proven solution for preventing theft, TDS supplies a variety of alarms for office premises, commercial sites, industrial plants, shops and homes. So whether you are looking for a hardwired or wireless system; a monitored, silent intruder or alarm system linked to CCTV, we can help. The British Standard provides the emergency lighting designer with clear guidelines to work to. Lighting protection protects your home, barn, commercial building, leisure centre, or other structure from lighting damage caused by fire, lightening, or structural problems. It can also prevent damage to computers, electronics, appliances, satellite dishes, telephone systems, hot tubs, etc. 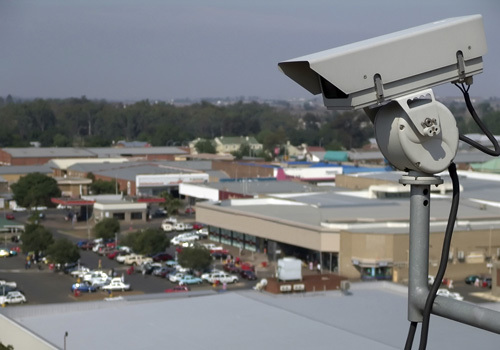 We offer a complete CCTV installation, maintenance service for your office, building site, industrial premises or home. Operating as stand alone or integrated with your access and control system, it will monitor people coming in and out of your premises. All digital recordings can then be viewed afterwards as necessary. Security digital door viewers are ideal for homes and flats and are particularly useful for elder residents, kids and people living alone. The unit contains a high-quality door security camera that records video and stores it for playback. We also fit Mag-stripe swipe, Smart Card Identification System and Keypads for remote stand-alone security doors, plus Biometrics systems for high risk environments. We can also integrate it into your centrally controlled and networked access system. 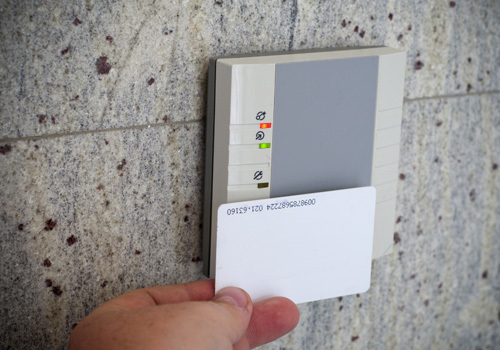 You can choose from a basic sign-in or turnstile facility to a more sophisticated multi-level authorisation card or lock system that tracks and restricts access for different categories of personnel or visitors at various key points around your premises. With the advance of reader technology, you can now choose between (PIN) keypads; magnetic, proximity and biometric readers. Allowing single or multi microphone positions, it still provides one of the best ways of finding an individual, or groups within your building quickly. This system also be wired to provide background music throughout your complex.